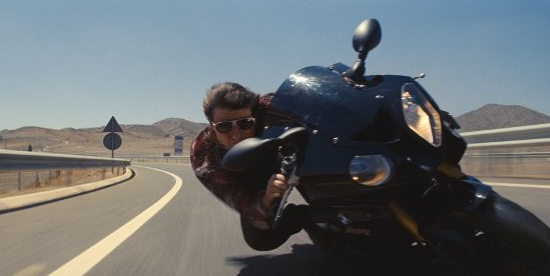 Mission: Impossible – Rogue Nation: Cruise Control Has Never Been So Exciting. Your mission, should you choose to accept it, is to overlook the fact that this series would feature dramatically different endings if their missions were, in fact, impossible and instead just sit back and enjoy. I highly recommend you choose to accept the mission. This entry was posted in Reviews and tagged Alec Baldwin, Christopher McQuarrie, IMF, Jeremy Renner, Mission: Impossible, Rebecca Ferguson, Rogue Nation, Sean Harris, Simon Pegg, Syndicate, Tom Cruise, Ving Rhames. Bookmark the permalink.